Thursday September 6, 2018 - Amani National Congress (ANC) party leader, Musalia Mudavadi, has asked President Uhuru Kenyatta to adequately equip agencies fighting corruption. 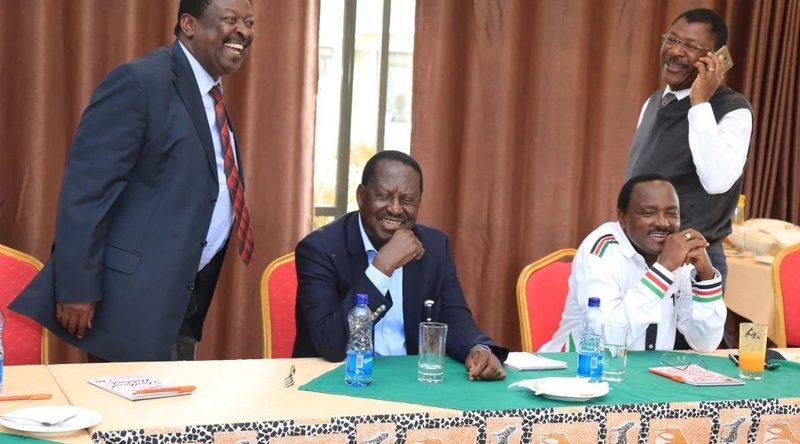 In an exclusive interview with KTN on Thursday, Mudavadi said the momentum in the anti-graft war is impressive but must be escalated on all fronts. Mudavadi said officers at Directorate of Criminal Investigations and at Director of Public Prosecutions must be paid well to encourage them to work well. “It is strenuous for one officer to handle six cases at a time," Mudavadi said. The ANC boss also said Parliament erred in the 2018/19 budget allocation by denying the institutions adequate resources. “The agencies are unlikely to deliver if unless they get a supplementary budget,” he said. At the same time, Mudavadi said the opposition needs to find its footing and hold the Executive accountable.